This year's "two sessions," the annual meetings respectively of China's top legislators and political advisers in Beijing, should serve as a moment to take stock of the country's successes and failures, especially those in the scientific and environmental domains. Significant advances have been made in both fields over the past year. Nonetheless, this is not the time for complacency, as many challenges still remain. Sustained support from the highest levels of government is needed to enact permanent solutions to two of the country's most pressing issues. The government initiated its "double first-class" policy late last year, aimed at creating world-class universities supporting first-class disciplines. In that context, it is encouraging that China surpassed the United States in the number of scientific publications released in 2016, according to a report earlier this year by the U.S. National Science Foundation. Though many of those Chinese publications may indeed be "first-class," a narrow focus on quantity over quality is hampering progress. Unfortunately, the country still considers the quantity of its scientific output to be the primary indicator of performance. In an international context, this leads to inconsistent evaluation results, which ultimately encourage a race to the bottom – most certainly not the desired effect from the politicians' perspective. This disparity is quite visible in the discipline of astrophysics. As a small field, it is not included in many international rankings, with a notable exception being the one by U.S. News & World Report. Among the top 200 university astronomy programs included in its 2017 ranking, Peking University is ranked 74th. The school is third in Asia, behind the University of Tokyo and virtually tied with the University of Kyoto. Yet, the recently released results of the "double first-class" competition tell a starkly different story. Peking failed to even make the mark, and the school is ranked third or fourth domestically. China's rankings are driven by quantitative measures such as the number of scientific papers published and academicians on an institution's faculty, performance indicators that don't translate well internationally. 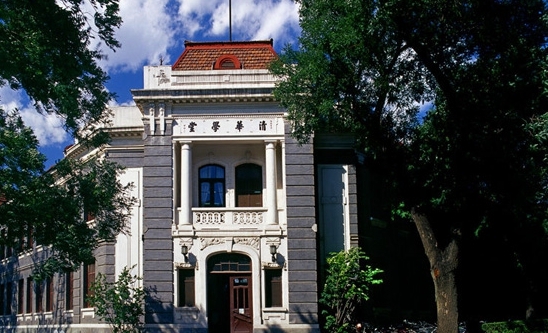 Peking's international faculty members are not eligible for most higher-level Chinese awards, so the university will never be able to compete directly with the much larger departments that top the domestic rankings. This focus on quantitative output encourages firing off many articles that may not be of the same quality as those considered for inclusion in the international rankings. Chinese science has come a long way during the last few decades, and it seems that the discipline has now reached maturity domestically. It should follow, then, that qualitative rather than quantitative indicators start to be considered the hallmarks of success. Another important science and technology item that will likely feature as a discussion point during the two sessions is the quality of the country's environment, and of its air in particular. Last year, the capital's average air quality was reportedly the best since official records began — though Chinese government records have only been taken since 2013, so this is not a very compelling achievement. On Jan. 3, Reuters reported a claim by the Beijing Municipal Environmental Protection Bureau that the air quality in 2017, as measured by the PM2.5 index, had improved by an average of 58 micrograms per cubic meter. The resultant figure, however, still far exceeds the level of 10 micrograms recommended by the World Health Organization. Nevertheless, the improvement was obvious to the capital's residents. Reuters posited that a combination of aggressive environmental clean-up policies and favorable weather conditions contributed to this outcome. Continued enforcement policies will be needed, though, to maintain and improve air quality in the country's major cities. Air quality levels in the main urban centers, eye-catching as they are, feature prominently in politicians' minds. But much less is heard about environmental progress in second- and third-tier cities. Public opinion features to a degree in the decisions of policymakers in first-tier cities, but out of the public eye, many local decision-makers still care more about economic progress than the long-term health effects of air pollution on their populations. On a recent international flight, an environmental consultant suggested to me that the time may have come for the central government to defer environmental protection policies to local and regional governments. It will be interesting to see how the country's lawmakers propose to tackle the problem beyond the main urban centers as the situation evolves. Regardless, the matter will surely remain on the policy agenda for years to come. But for the sake of the nation's residents, change must be enacted sooner rather than later. Policymakers at the forthcoming "two sessions" will have a timely opportunity to tackle two of China's most pressing scientific issues.